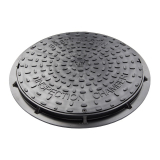 Plastic adoptable inspection chambers from Drainage Superstore are all manufactured to meet BS EN 13598 so that they can be used in accordance with the Sewers for Adoption guidelines. 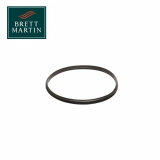 High quality inspection chambers made from durable, lightweight plastic come from well-known brands Accesso and Brett Martin. 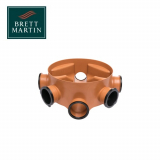 Brett Martin adoptable inspection chambers are bought in separate parts so that you can customise your system to your project. 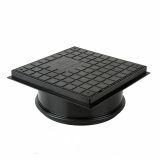 Chamber risers and chamber bases are available in standard access or shallow access with a choice of sizes of inlets and number of plugs. 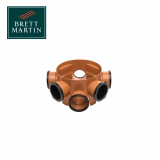 From 315mm inlets to 450mm inlets, Brett Martin’s range of adoptable inspection chambers have a choice of two factory-fitted seal sizes. 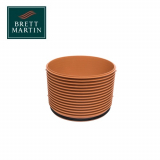 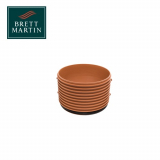 Terracotta in colour for easy on-site identification, this robust and cost-effective range is watertight with screw-down lids for added safety and security. 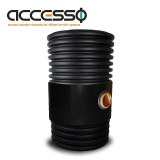 Plastic adoptable inspection chambers from Accesso come ready-made and ready to install to save time on-site. 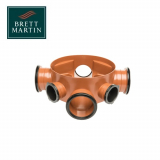 Never worry about forgetting any of the components you need as each inspection chamber comes pre-packed with everything you need. 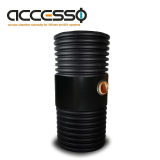 From 1m to 2m deep and with inlet/outlet sizes from 150mm to 300mm, these inexpensive and durable chambers are fully watertight and suitable for use on any domestic, commercial or industrial site. 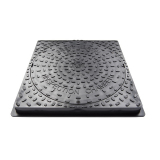 The high-strength polypropylene they’re manufactured from and their ribbed sides add security with the option to buy inspection chambers with sumps and catch pits making this range perfect for any application. 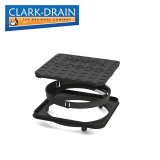 Should you need help selecting which adoptable inspection chamber is best for you, contact our drainage helpline on 01752 692 221 for expert advice.